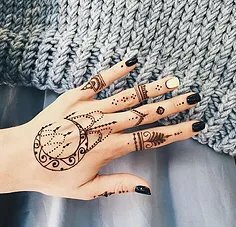 Henna tattoos are a very popular alternative to a regular tattoo since henna is not permanent and lasts up to 2 weeks. Neha threading offers expert artists to design any kind of henna you desire. If you do not know what you want, no worries because our creative artists will create an amazing design to fit your personal style. At Neha Threading, we understand you want to look your very best on your very special day. 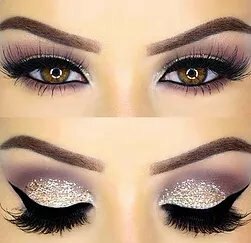 That is why we hire only the finest of makeup artists to deliver your dream look on your dream day. Want to look beautiful for that special moment? Maybe its prom maybe its just a fun night out with the girls. No matter the occasion, at Neha Threading we give you that special look to fit that special day. Nova lash extensions are an amazing way to extend the length and thickness of your natural lashes. Nova lashes are very convenient because unlike mascara and false eyelashes, you do not have to keep reapplying them everyday. Once applied, Nova lashes can last up to 4 weeks if taken proper care of. 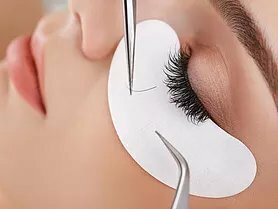 Temporary eyelashes give the appearance of having mascara on without the messy clumps and smudging of makeup and last up to 2 weeks. A credit card is required to reserve all appointments. We require a minimum of 24 hours’ notice for cancellation or rescheduling. If you miss your scheduled service or services or cancel without the minimum required notice, your credit card will be charged the full amount. We realize that unforeseen situations or emergencies may arise, so special arrangements must be made with our Spa/Salon Manager.